Russia doesn’t want Ukraine to be split up, NATO intelligence officials say, warning their colleagues against wrongly assessing Moscow’s policy on the crisis in eastern Ukraine. That’s according to a report in German magazine Der Spiegel written by intelligence officers from several NATO countries. They argue that Moscow is not interested in escalating the situation in Ukraine, and is not going to repeat the scenario of what happened in Crimea. The officers believe that the Kremlin is merely interested in seeing the reorganization of the Donetsk and Lugansk People’s Republics into functioning administrative units within a federalized Ukraine, if those regions can reach an agreement with Kiev. NATO has severed practically all cooperation with Russia in the wake of the Ukrainian crisis, as it is accusing Moscow of sending troops and military equipment to self-defense forces in the self-proclaimed Donetsk and Lugansk republics. 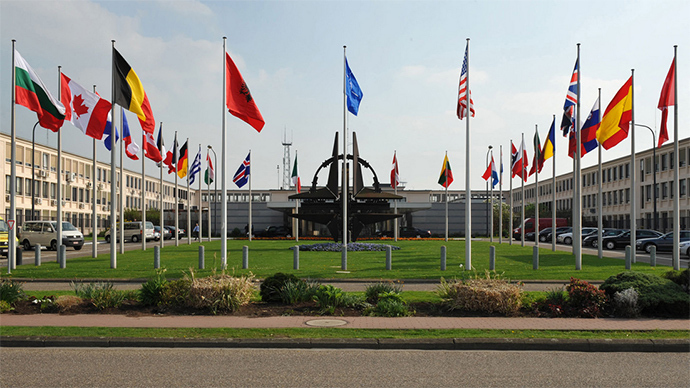 Though NATO did not provide any substantial proof of such accusations, it launched a massive military build-up of troops in the Baltic States and other Eastern European NATO member countries. The alliance claims this is needed to build confidence in the respective governments of NATO’s protection from an attack by Russia. NATO’s new chief, Jens Stoltenberg, says that the alliance’s members, particularly the Baltic States, have complained of an increasing number of Russian military exercises close to their borders. He acknowledged that Russia conducts those exercises in international airspace and waters and is not violating international treaties, however. “We have already boosted our presence in the eastern part of our alliance. We have five times more planes in the air. Our forces start an exercise every two days. And we have also increased the number of ships in the Baltic and the Black Seas,”Stoltenberg told the media earlier in December. Moscow sees NATO expansion towards its borders as aggressive and a violation of post-Cold War agreements. It wants the alliance to guarantee that Ukraine and Georgia would not become part of the NATO military bloc, but Stoltenberg said they cannot and will not give such guarantees. The Kremlin also believes that NATO is using the Ukrainian civil war and the secession of Crimea as a pretext to justify larger military spending by members of the alliance.